Opinions of a Moody Mama: End of May Twitter Giveaway! 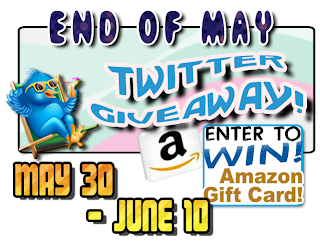 Welcome to the End of May Twitter Giveaway hosted by MamaNYC! Over 30 bloggers have teamed together to celebrate the end of MAY – and kickoff the start of our summer months as we head into June. It’s very simple to enter: All you have to do is follow our Twitter accounts in order to gain entries in this giveaway! Sure, we also tossed in some other options, but this giveaway is all about Twitter! One lucky winner is going to receive a $40 Amazon Gift Code! 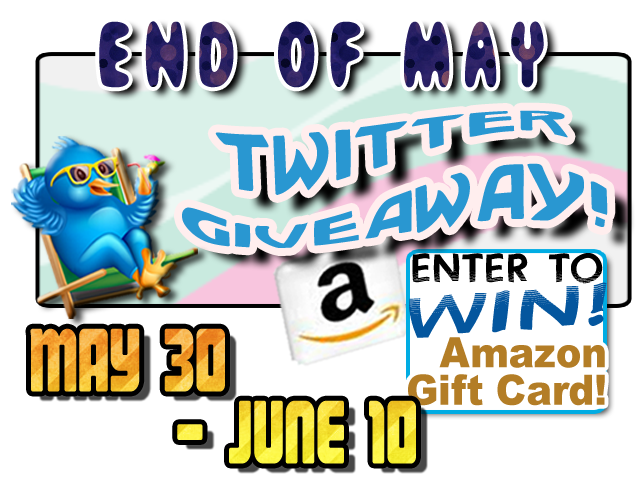 This giveaway will run from May 30th – June 10th, which should give you more than enough time to hop down the Rafflecopter and follow all of our Twitter accounts. Open Worldwide; Winner will have 48 hours to confirm prize. If you see our event button - no need to enter again! We are all using the SAME Rafflecopter, so your entries are only needed on one of our blogs. Good Luck! !